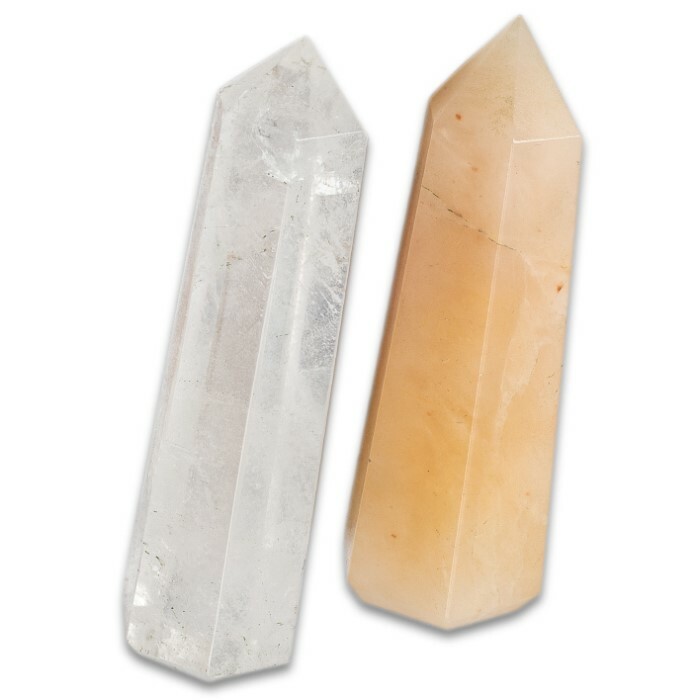 Chakra Healing Stone Kit - Crystal Quartz Tower, Golden Quartz Tower, Tumbled Stones, Raw Rose Quartz, Amethyst Cluster, Chakra Pendulum | BUDK.com - Knives & Swords At The Lowest Prices! The key to balance and harmony within your body and mind is having clear and positive energy flowing freely through your seven chakras. Our Chakra Healing Stone Kit is the perfect gift for beginners or practitioners wanting to balance their chakras, collect crystals, or just set up a beautiful relaxing space! 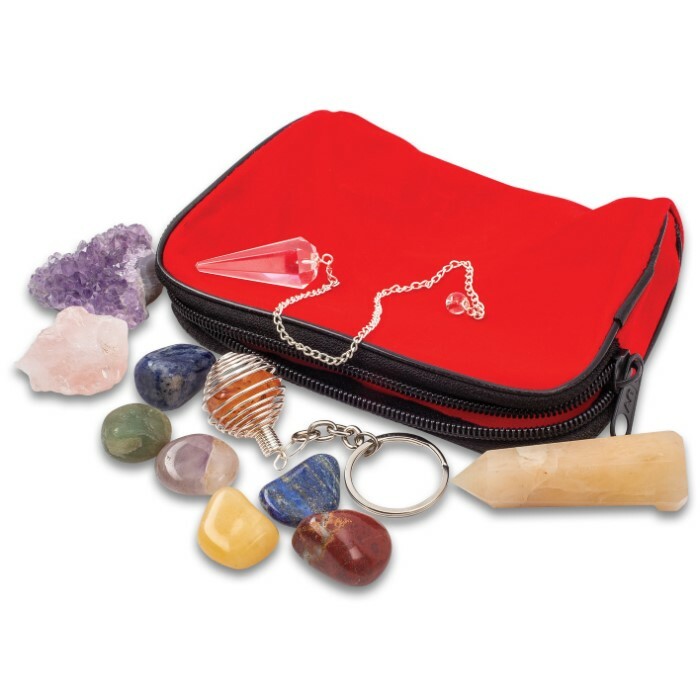 The kit includes the chakra stones, amethyst, blue aventurine, lapis lazuli, green aventurine, yellow jasper, peach aventurine and red jasper. 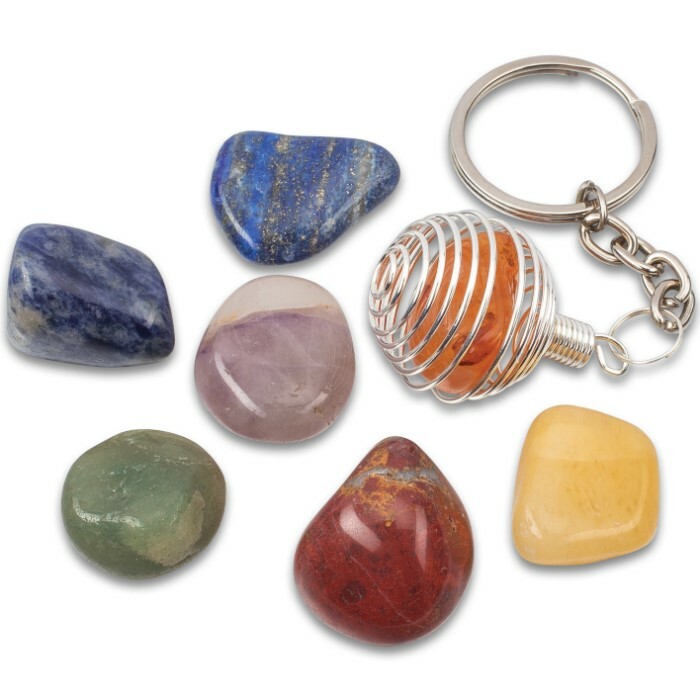 The included chakra stone carrier keyring allows you to carry one of the stones, as you feel the need, and switch them out when your energy changes. 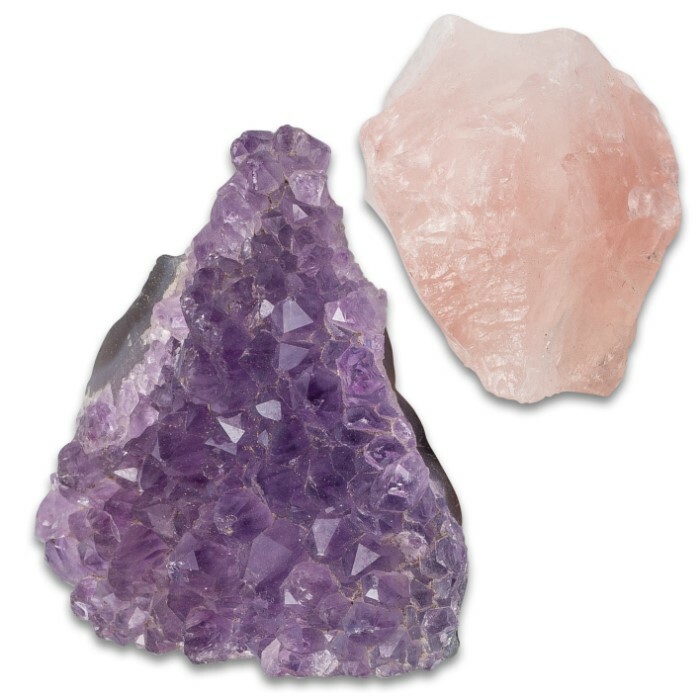 You also get a 1 1/2” piece of raw, completely natural rose quartz and a 2” completely natural amethyst cluster. 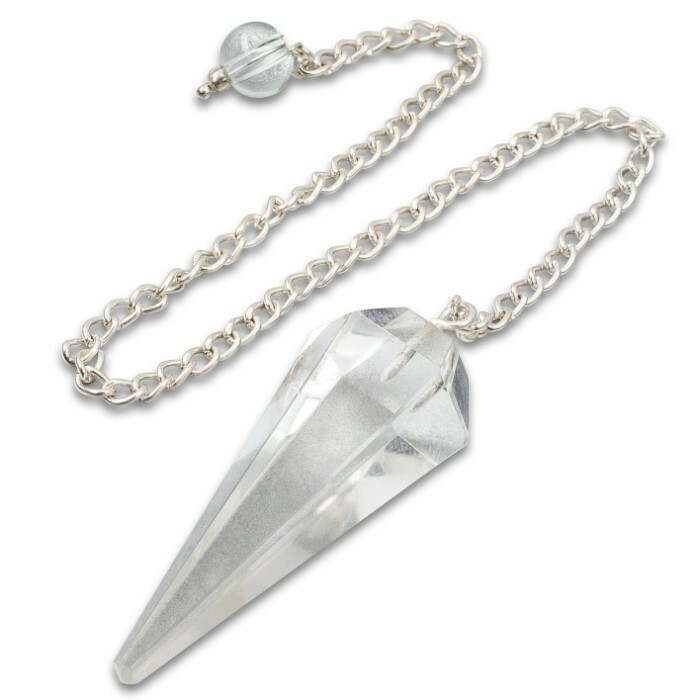 A clear crystal quartz tower and a golden quartz tower, which are each approximately 2 1/2” tall, is included for crystal work, plus, a small crystal quartz pendulum on a silver chain. 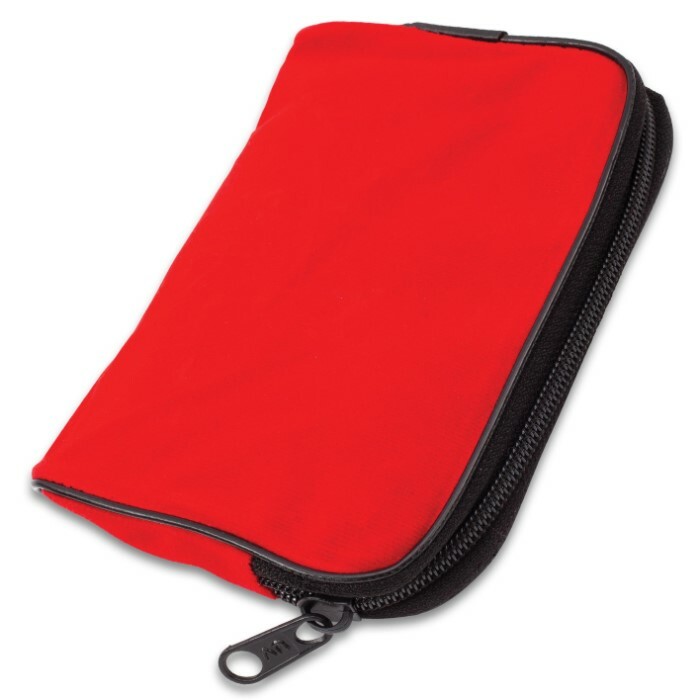 All of the contents of our Chakra Healing Stone Kit fit inside an attractive red velvet, zippered carrying case. 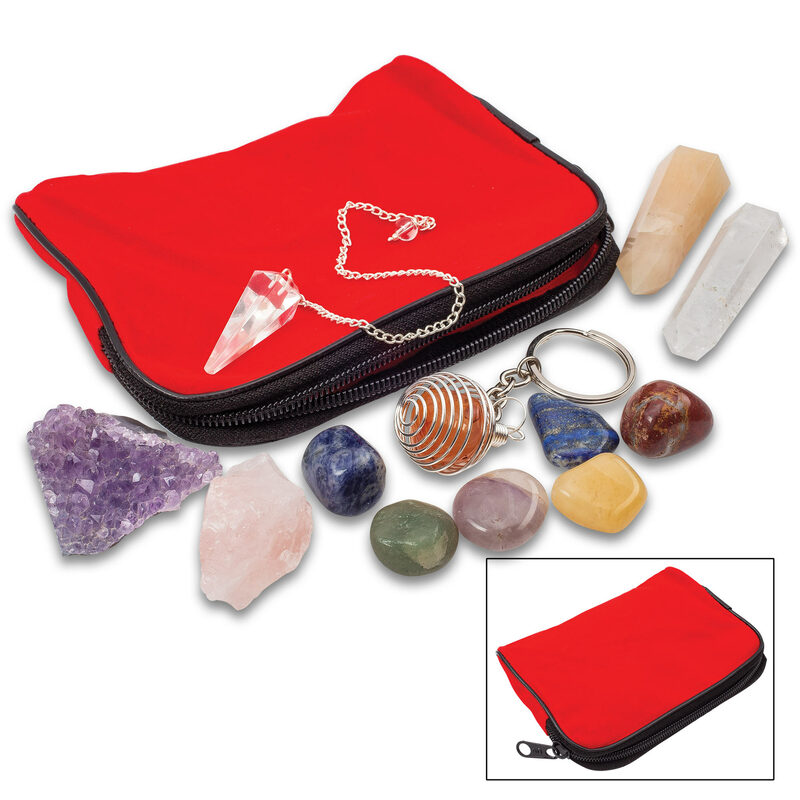 This multi-purpose spiritual set is perfect for chakra work, Reiki healing, crystal grids, home decor, gifts, and more!